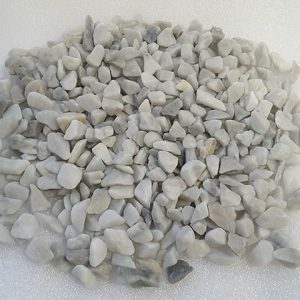 One of our most popular chippings is the White Opal Chippings. This is an excellent choice for projects where you wish to add texture and shine without introducing a colour. 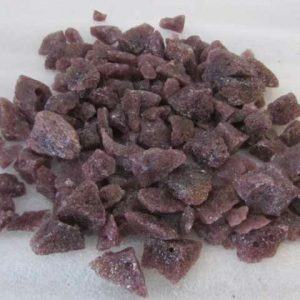 These chippings are popular for memorial gardens, kerb sets, arts and crafts, flower arrangements and mosaic making. One of our most popular materials gets a unique treatment in the form of our White Opal Chippings. 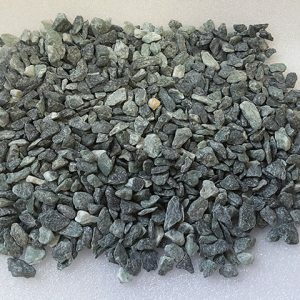 An excellent choice for projects where you wish to add texture and shine without introducing a colour, these chippings are popular for memorial gardens, kerb sets, arts and crafts, flower arrangements and mosaic making. 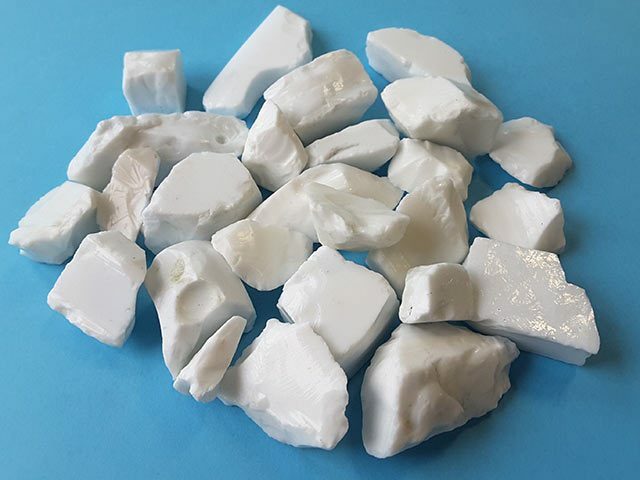 The White Opal Chippings have a pure snow white colour that is sometimes called milk white or dental white due to its purity. We produce the chippings by melting down the glass and mixing it with a permanent white pigment. After the glass is solidified, the pieces are carefully crushed into pieces. The fragments are left in their broken, angular shape but are worked to remove dangerous points and edges for safe handling. 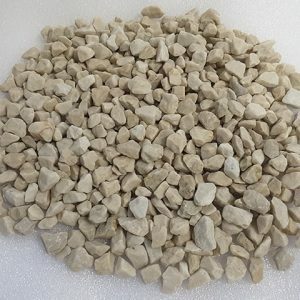 We offer the White Opal Chippings in two different size assortments, giving you the freedom to add medium-sized or large chippings to your project. Every piece of white opal in the assortment that you receive will have a distinctive unique shape for an attractive visual effect when the chippings are fixed to a surface or used to fill a vessel. 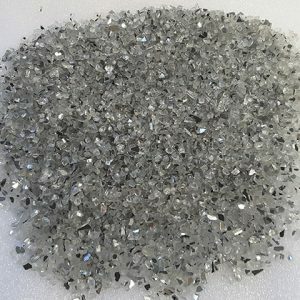 Because the White Opal Chippings have a unique character, we recommend that you view a sample before purchasing a large quantity. Please contact us by phone or email to arrange to receive a sample, so you can verify that the chippings are what you’re looking for to complete your project. The chippings are sold through our network of Memorial Products distributors. To find the location of a retailer near you in Ireland, please get in touch with us. In addition to chippings made of white opal, we have other products fashioned out of the material. We offer regularly shaped White Opal Glass Beads.